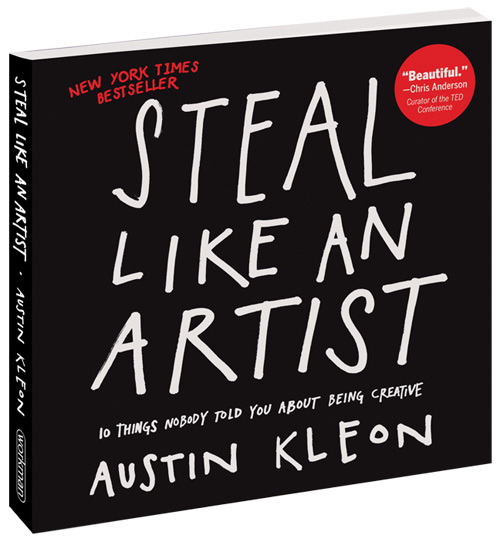 I just finished the book Steal Like an Artist by Austin Kleon. It’s a quick and inspirational read. You know, one of those books that will mostly likely confirm some ideas you already had, give you some new ideas, and help you break loose a bit if your stuck on a music project. You can learn more about the author plus find store links here http://austinkleon.com/steal/.